Welcome to Classical Girl’s Africa page! Here you’ll find links and information about Gabon, Central Africa, as it’s portrayed in my novel, A Dancer’s Guide to Africa. Curious about where towns like Makokou, Bitam and Lambaréné — all depicted in the novel — are located in relation to Gabon’s capital city of Libreville? Here you go! Curious how to pronounce words like Makokou (hint: accent is on the first syllable and not the second) and phrases like “case de passage” (kaz de pa SAAGH)? A glossary and pronunciation guide are forthcoming. 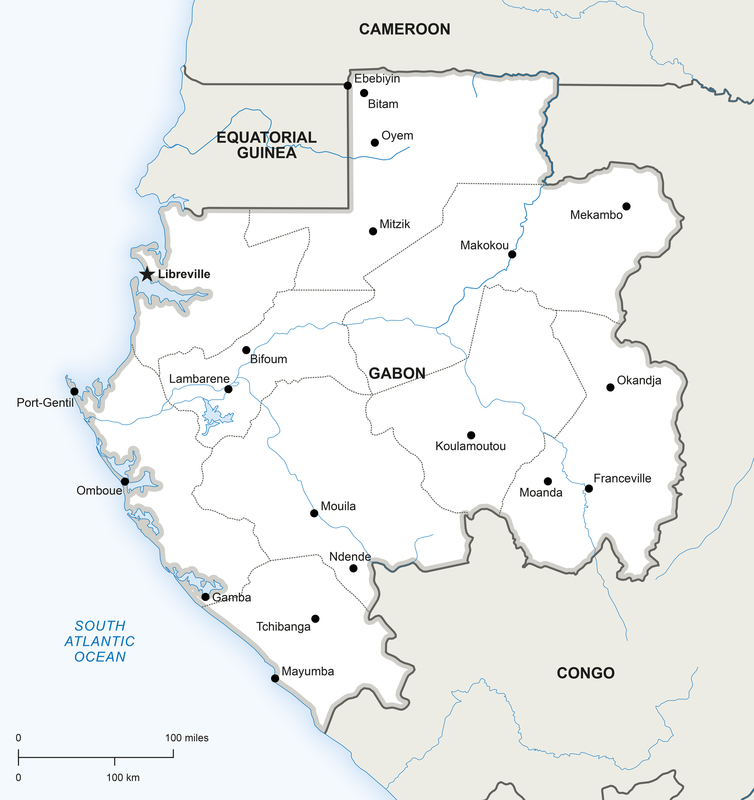 Find out what Lonely Planet has to say about Gabon and travel HERE. Leigh Purtill: Fiona, your main character, is a Peace Corps worker in Africa. Did that come from your own experience? Terez Mertes Rose: It did! Although the circumstances around my joining the Peace Corps were different from Fiona’s. My older brother had served in the Peace Corps six years earlier. I’d thought it was such a dramatic, noble thing to do, and during college years, I set my sights on doing it upon graduation. I was in a dance company through my college years and loved ballet like nothing else, but reality whispered to me that I didn’t have the chops to go professional, and I really had to consider a future outside ballet. I contacted the Peace Corps early on and followed their suggestions on how to make myself an attractive candidate for the job, and it all played out as I’d hoped. It broke my heart to leave ballet and my dance company behind, but it was the right choice. LP: The book is set in the 80s which is a very specific time and place for our culture. Did you have to do a lot of research to make it authentic? Did you remember everything that was going on then? 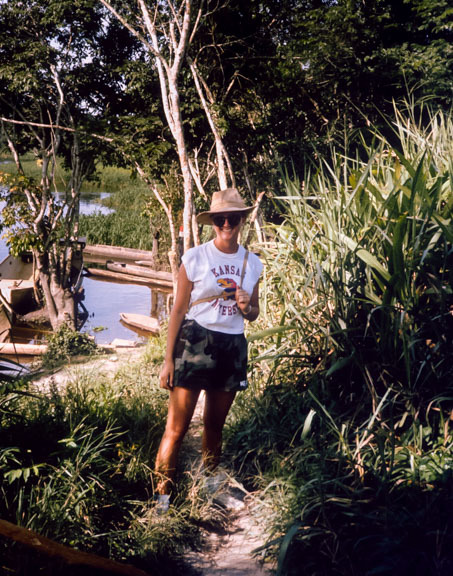 TMR: Indeed, I have very specific memories of what it was like to be a Peace Corps volunteer in the 80’s. (My own years were 1985-87; the story takes place 1988-90.) I wanted to keep it in roughly the same time period because conditions change. The AIDS epidemic became a much bigger deal in Africa in the 1990s. There was political unrest in Gabon and its capital city, Libreville, in 1990 (which technically was during Fiona’s time, but I chose not to use any of that in my story – gotta love fiction writing!). Setting the story in 1988 meant fewer logistics errors. LP: Did you ever consider writing this as a memoir? TMR: Nope. My own experiences seemed less glamorous than Fiona’s. I discovered only there in Africa that I was a huge introvert. At my post, I kept to myself probably more than I should have, losing myself in books and writing in my journal a lot. Fiona just flings herself out there and gets into trouble. (Fictionalizing an experience is so much more fun!) Initially I did try to pound out memoir material—I was purely a nonfiction writer at the time—but the end result bored even me. One day I had a “what if…?” moment, created Christophe and this cross-cultural romantic conflict, and wow, did the story take off. The novel just wrote itself, 100,000 words in ten short weeks. It was an amazing experience, just waiting for the right fictional character to show up and make it happen. LP: Was there material you found difficult to write about? The cultural differences for instance? TMR: Actually, I loved exploring all the cultural differences through writing. It was a great opportunity for me to process what I’d been too young and naïve to see clearly, back in 1985. (Although Fiona is NOT me, I have to admit that we are very similar in this department.) What I found very difficult to write about was the malevolent character whose intentions toward Fiona were sinister. The penultimate chapter was just awful to work on. Violence repels me. But I think it’s a stronger story for coaxing out that aspect of the culture, because violence exists there, and violence toward women exists there. LP: Was there anything you left out of the story because you couldn’t find a place for it? there might be a second Africa novel within me. Carmen, Fiona’s best friend in the story, has assured me she’ll stick around and be the narrator for the next one. I might take her up on that. LP: How do you feel an experience like this in today’s climate might be different from what Fiona experienced in the 80s? questioned for being a single women living on her own in Africa. I think that still would happen, even today. 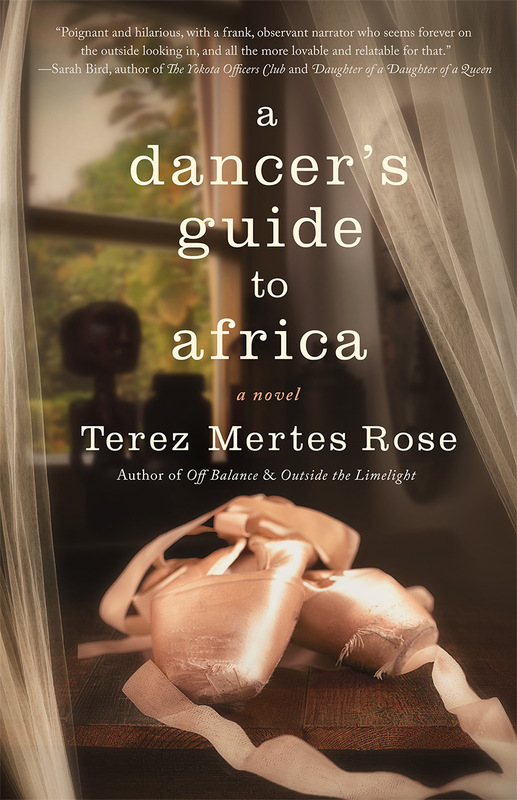 Want a taste of A Dancer’s Guide to Africa? Here’s the opening scene! Another uniformed guard crunched over to our van. “Descendez,descendez,” he called out in a bored voice. Carmen and I exchanged worried glances. The volunteers in the van rose, grumbling and stretching. “What’s going on?” Daniel, another English-teaching trainee, asked, frozen halfway between sitting and standing. This wasn’t part of the plan and that concerned me. We were supposed to arrive at our training site in Lambaréné by mid-afternoon. We’d already stopped once for a flat tire and another time for a steamy, bug-infested half-hour, the reason never made clear. No one else seemed bothered by all these delays. Or worried. I could only fret to myself as we descended from the Peace Corps van into the staggering humidity, squinting at the overhead sunlight. Away from the city, deep inside the country’s interior, the whine of insects was a noisy symphony of clicks, buzzes and drones. Jungly trees crowded the landscape, broken only by the red-dirt road and clearing. A group of children, wearing an assortment of ragged thrift-store castoffs, shrieked at our sudden appearance and ran from us. The rifle-toting soldier and our driver had disappeared. “Who knows?” a volunteer named Rich replied. “Long enough to have a Regab.” He entered the shack and we followed like ducks. In the dim room, lit by sunlight filtering through cracks, Rich pointed to a table where our driver was sitting, relaxed in conversation with the guard. Both clutched wine-sized green bottles of beer. Regab. To buy the book at Amazon (also available through Ingram and Bookshop Santa Cruz) click HERE.